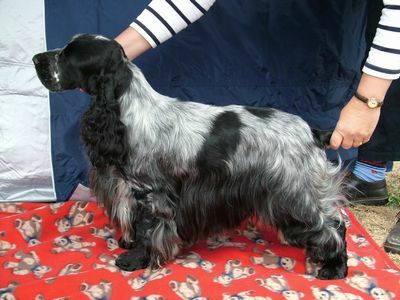 Jack came to us from Mick & Wendy Drekovic of Cleemist Kennels. Jack is a lovely sound compact dog with beautiful head & true Cocker expression & temperement. he also has many RCC,CC, RUBOB & BOB and all with limited showing due to the commitments of a growing family. Jack has now been retired from the show ring and has embarked on a new career of Obedience with Liz Knox, we wish them both the best of luck.